So this has been a CRAZY busy summer, which is why you haven't heard much from us. However, we do have some exciting news we hope to share soon! 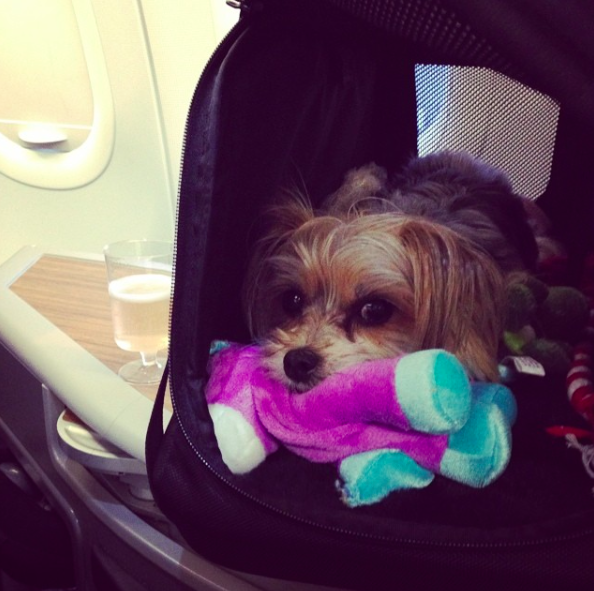 In the meantime, while crawling the inter-webs, we stumbled upon this interesting news item -- "American Airlines Announces First Class Cabin for Pets." Of course, we had to further investigate... which we did... only to discover that Paddington has already in fact traveled "Cuddle Class." 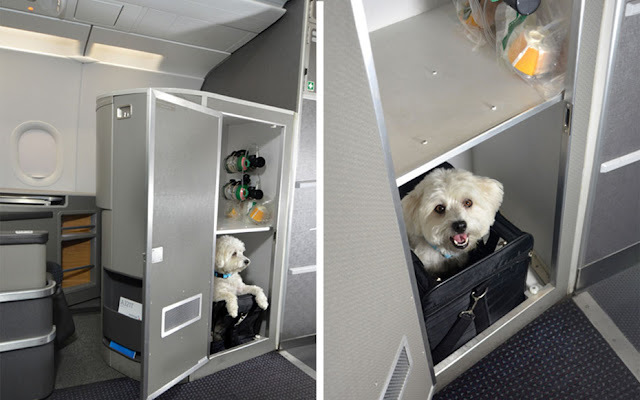 While it's billed as a luxury way to travel with your pets, in reality, it's a fancy way of saying "FAA rules require us to stow your pet in a storage closet for take off and landing when you travel with a lie flat bed." While that is totally OK, our frustration stems from the fact that we feel like "Cuddle Class" is being billed as something it really isn't. You may ask, "why are you so fired up about this?" Well... flashback to a trip we did last Thanksgiving where we used miles to fly first class from LAX to JFK. We were surprised to learn that Paddy would have to ride in her carrier in the closet for take off and landing once we boarded the plane. Yep, there was no advance information about this requirements. You're allowed to have an infant in arms for take off and landing... you are not allowed to hold your dog's carrier for safety reasons. 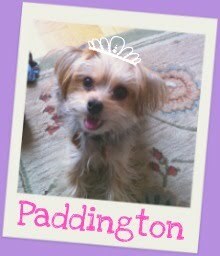 While your pet may not mind being put in a storage closet with a small ventilation window for take off and landing.... they may, like Paddington. She's flown with us several times, and as long as her carrier is near us, she won't make a peep. Put in her a closet... and well, sorry first class cabin... I guess there's a reason they pass out noise canceling headphones? Also, take off and landing, especially if you're flying LAX to JFK or SFO to JFK can mean that your dog is in the "box" or "Cuddle Class" for up to 40 minutes on either end. As soon as preparations begin for take off and landing, your dog goes into the closet. From what we could discern, the box is neither lit, nor has any air vents. Your pet also cannot see you from the angle of the vents. There was also a crazy amount of static charge - when we got Paddy back, her fur was sticking up on end, and she was definitely not happy. We also apologized profusely to everyone else in the cabin for disturbing their trip, and felt awful. Needless to say, this requirement also made our travel experience really less enjoyable too as we were stressed out about putting her in and out of "Cuddle Class." So... anyway, we apologize for the little bit of a rant, but only felt it fair to share our experience. We are definitely loyal American Airlines passengers, but this new "Cuddle Class" requirement has meant we've taken our business for trans-continental flights to another carrier that will allow Paddy to ride next to our seats. Paddy is truly a mellow dog and used to travel, but we feel awful that "Cuddle Class" stresses her out and also disturbs our fellow passengers. Would love to hear if anyone else has a similar experience?